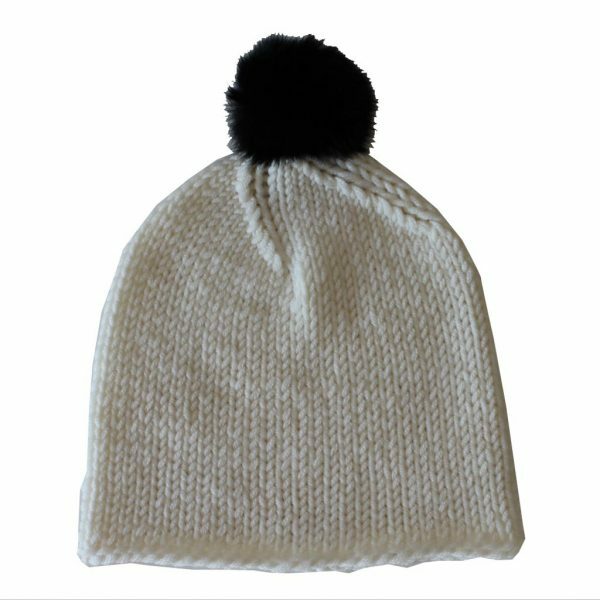 Beige and white striped beanie with a pom-pom. 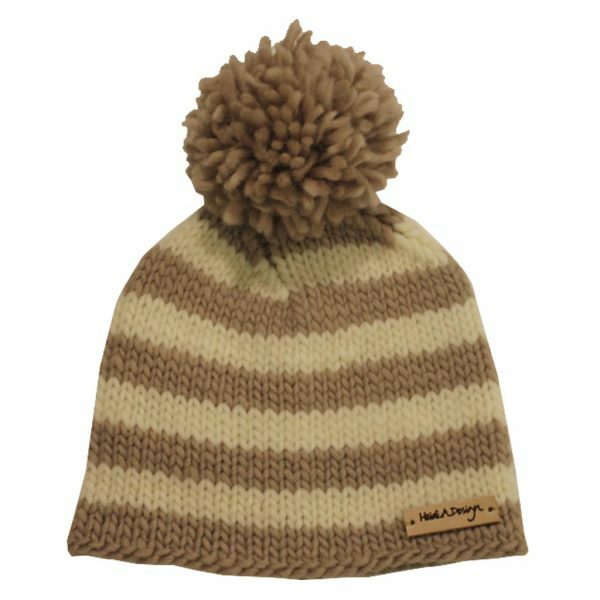 Beige and white striped beanie with a pom-pom. Soft and thick. Designed and made in Finland.